It was a gathering of the starriest sort and it seemed the tiniest bit surreal. 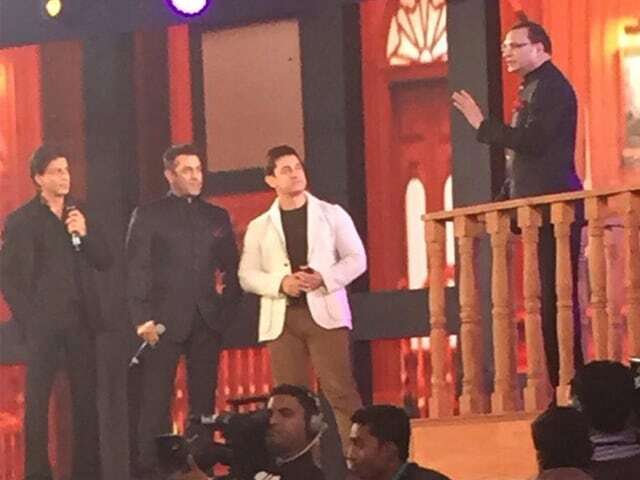 The Khan trinity – Shah Rukh, Salman and Aamir – congregated on anchor Rajat Sharma’s TV show Aap Ki Adalat, which is celebrating its 21st anniversary, in New Delhi on December 2. 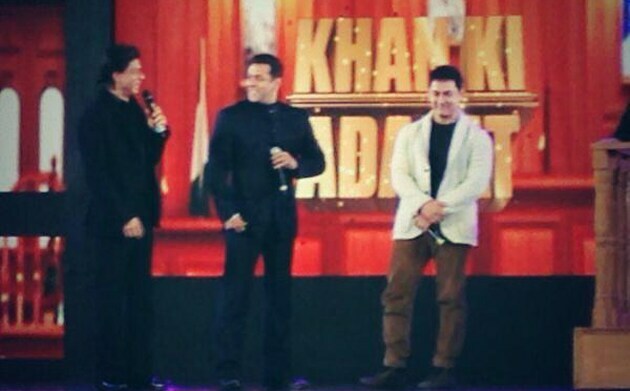 The TV show has hosted the three Khans separately over a span of two decades. However, in a first for the show, all three actors appeared on stage together this time. 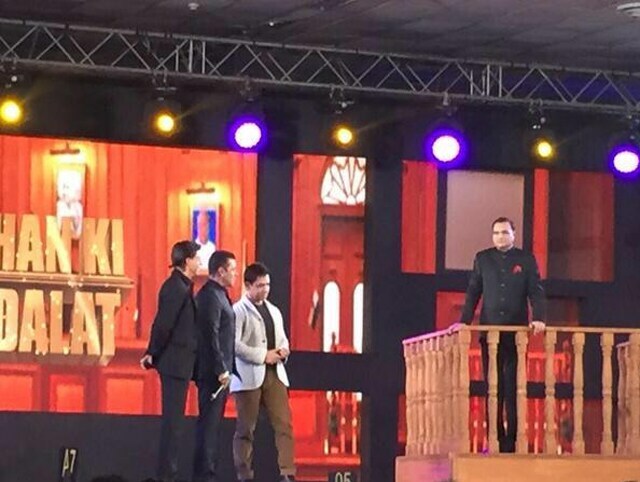 In this Khans Ki Adaalat, the celebrity trio grilled the anchor on his own turf. The special episode was stuffed with moments like this one – SRK and Salman planted a kiss on Mr Sharma’s cheeks. The celebrations, which took place in Pragati Maidan, were also attended by political big wigs like Prime Minister Narendra Modi and President Pranab Mukherjee, among other dignitaries, sportspersons and celebrities. 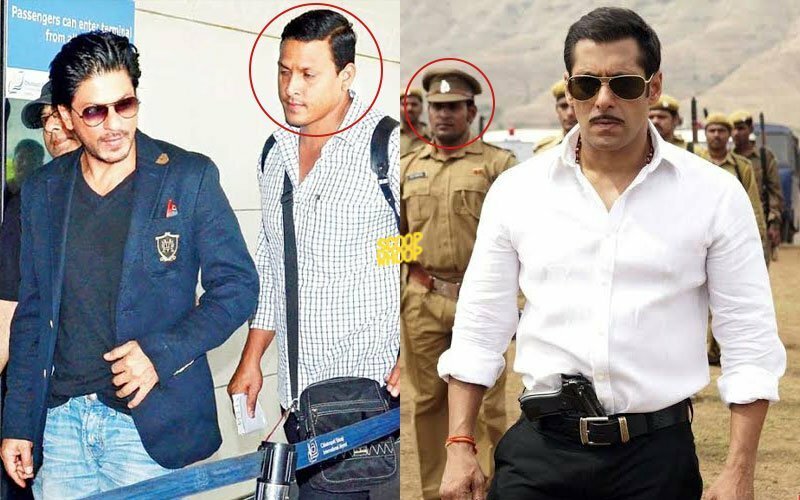 Shah Rukh and Salman have only recently mended a friendship that had been disrupted for six long years after they publicly fell out at actress Katrina Kaif’s party in 2008 and then conducted a war that was by turns cold and heated. Insults were exchanged and peace offerings ignored. Just last month, the celebrity hatchet was buried once and for all at the haldi-mehendi-sangeet ceremonies for Salman’s sister Arpita Khan who was marrying her fiance Aayush Sharma. 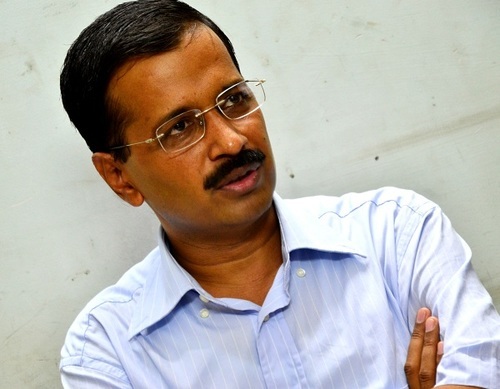 The Khans Ki Adaalat is perhaps a natural progression of events. Maybe we can expect a film starring the trinity of Khans next.